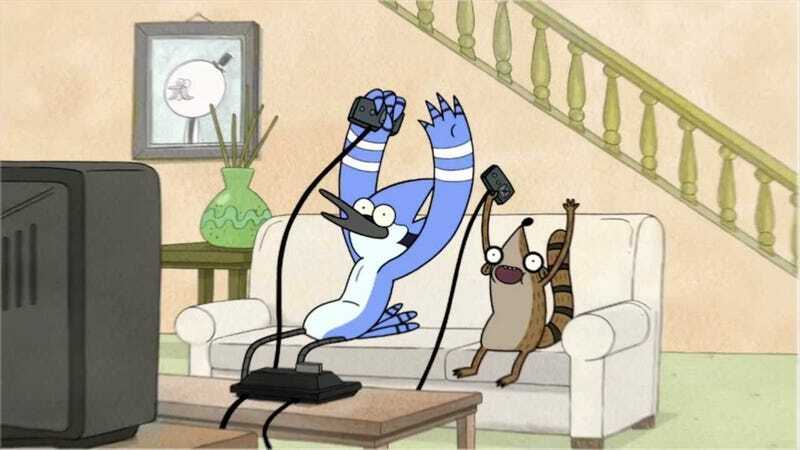 We already knew (at least it was announced) that WayForward has been working on a new Regular Show title for the 3DS known as Regular Show: Mordecai and Rigby in 8-Bit Land, but we haven't seen any footage... until now. I'm excited to experience the sweet throw-back gameplay. This along with the newly released Adventure Time game trailer, makes me one happy Cartoon Network fan.